Today I received a question “What are actually Blogging and how much money is in it”. The question in itself is very simple as I see but it has to most complex answer in terms for you’re to understand it. Today I am going to tell you about what is blogging and which blogging niche have more money in it. As per the outline knowledge or what I have heard from other fellow blogger “Insurance” Niche have the most high CPC rate. Blogging can be understood as the exchange of ideas, views, thought via an online medium to a large no. of audience. Blogging can be your hobby or may be your professional work from which you are earning. Most of the American does blogging as a hobby and not as a part of their daily life for earning. But in India blogging is seen more as a way of earning online and less as a hobby. Talk of the current time and era, blogging is now one of the most occupied professions of all time. Many people rather than doing jobs in the country like India they opt writing blogs and earn from it. If you are a full-time blogger then there is a lot of potential money hidden in blogging. Blogging now days are also preferred by many schools and colleges to circulate their notes, syllabus, notices etc to the large no. of audience of their university or school students if you are good writer and a fast learner you can make them a blog or a website and earn a good amount of money out of it. 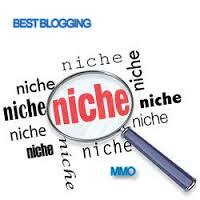 Blogging Niche is actually an area of blogging or a particular topic on which you can blog. In today’s time people are willing to go in any area of blogging in which they are expert off. So, now there is no particular Niche that you should be blogging about to gain more money. But then also most of the people find it very interesting to blog about “Insurance Policy”, “Blogging Tips” and “Stock Market”. There is a whole lot of scope that you can earn a big amount of money if you are relating to these three blogging niche. Now it’s a trend to find, compare do whole lot of things in the area of Insurance. If you carefully examine the Google Ad Sense ad’s you will find there are many ad’s relating to Insurance. Talking about How much money is in It. Google Pays as low as $0.11 to high as $1.00 per click on the insurance ad’s that showed on your blog. But for real earning your article has to be original and unique and not the copied stuff from around the web. Most of the insurance blog have copied stuff and it won’t help them in earning good from it. For being original you can write reviews about different Insurance Policies and thing like that. Google Love to index new original information. This niche has been come into focus in 2009 from what I know. Few years back most of the people came into blogging industries to make new websites and blog for their earning. Suddenly people started blogging for Teaching blog, How to make a blog, Tips for Newbie bloggers and stuff like that. It turned out that many people around the world really wanted these types of blog to exist and this formed a necessary for building a blog to tech blogging. Till now there is nothing in particular about the earning in this niche. People till now does not go for creating ad’s for this blogging niche. Anyhow, any type of ads shown on these types of blogging Niche has a good income per month wise. You can make $2-$3 per day if you do the right things. Getting 10-15 clicks per 200 page-views can get you good result because the click through rate should not exceed over 2%-3% for the total earning per day. Lately there have been very up’s and down’s in the stock market. Almost half of the population have invested money in Stock market and want to know the per second update of Stock Market. If you are familiar with the stock market terms and condition then it’s the best niche for you to start right now. There is a whole lot of money if you get the right information and stuff on your blog. You can even make $50 per day if you get around 10,000 visitors per day and I can ensure you that they will click on the ad’s anyhow. That’s all from my side. Now it’s your turn to get going and choose a blogging niche to start. There is many other Blogging Niche to start but these are the best three if you want to earn cash through it. We talk about Blogging niche and money then it includes almost all the niche such as Blogging tips, make money Online blogging. Yes every blogging Niche have some amount of moeny that it can offer but its really important to understand which pays you the most.